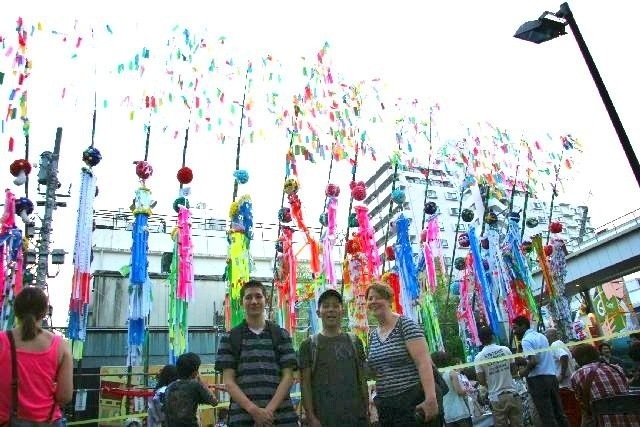 There are things you read about in tour guides or online and feel you know all there is to know about them; that wasn’t the case when I recently attended the tanabata matsuri (tanabata festival) in Hirakatsura, Kanagawa just outside Tokyo. I have heard about various festivals in Japan and as i began planning a vacation, thought it would be fun to see one in person. 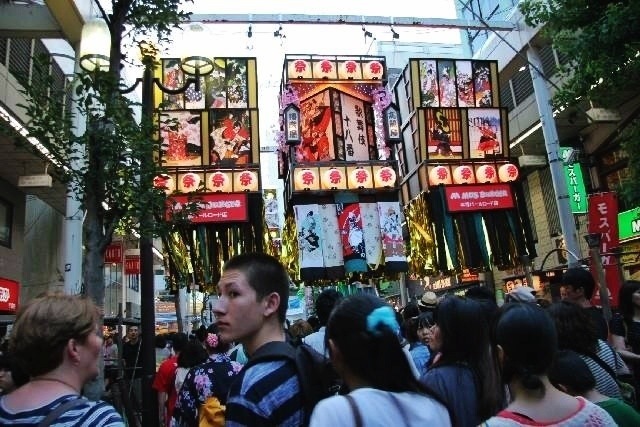 it seemed there were a couple of festivals to pick from and since i was arriving into Nagoya around the right timeframe to head north, I found the tanabata in Hirakatsura of interest. I should note that previous visits to Japan included a sister living here who is fluent in the language, getting around, etc. I never had to plan for other trips but this one I tried to handle most of it myself since she is home in the US. Since I was trying to plan my first visit to Japan where I did the planning, I was a bit out of my element. So to the guide books and online inquiries I went! Tanabata (meaning “Evening of the seventh”) is a Japanese star festival, originating from the Chinese Qixi Festival. It celebrates the meeting of the deities Orihime and Hikoboshi (represented by the stars Vega and Altair respectively). According to legend, the Milky Way separates these lovers, and they are allowed to meet only once a year on the seventh day of the seventh lunar month of the lunisolar calendar. The date of Tanabata varies by region of the country, but the first festivities begin on July 7 of the Gregorian calendar. via Tanabata – Wikipedia, the free encyclopedia. Tanabata, also known as the “star festival”, takes place on the 7th day of the 7th month of the year, when, according to a Chinese legend, the two stars Altair and Vega, which are usually separated from each other by the milky way, are able to meet. One popular Tanabata custom is to write one’s wishes on a piece of paper, and hang that piece of paper on a specially erected bamboo tree, in the hope that the wishes become true. Colorful Tanabata festivals are held across Japan in early July and August. 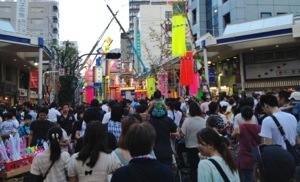 Among the biggest and most famous ones are the Tanabata Festivals of Sendai in August and Hiratsuka near Tokyo in July. This was the first lantern we saw… It was gorgeous! 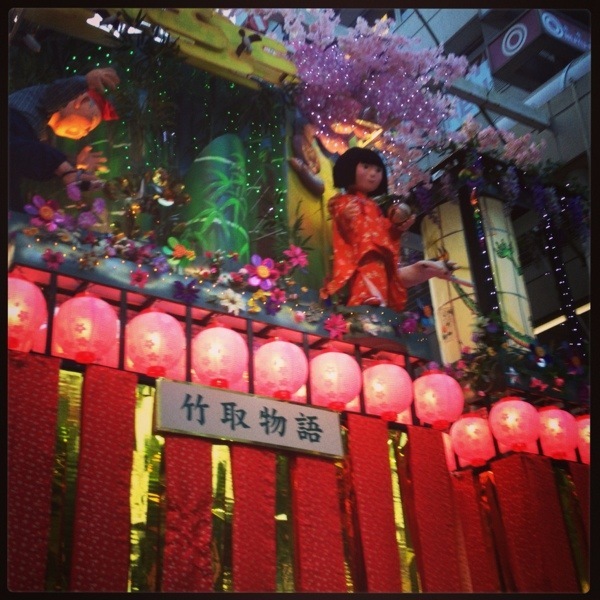 Check out how the lanterns are so big and drop right into the crowds! You have to get photos taken to prove you we’re there! Here’s Tomo & I.
Kazu, Yoshiyuki & I had a photo taken together too! Those are a few of the photos we took. I have more on my Canon but it will be a while before I get through all of them. I did shoot a tiny snippet of video of the tanabata festival but for some reason YouTube is withholding the embed code, the link is there for you though. There are several things I wish I had known before we made the trip. Please note, none of this means the day was any less than awesome, because I have to tell you IT WAS AN AWESOME DAY. That said, I may have benefitted from knowing a little more. I wish I had known better how to plan where to stay, etc. See the fact that it was said to be close to Tokyo doesn’t mean the same to me as it is in a suburb. If I were to book us on this now, I would probably book a hotel in Yokohama or somewhere and simply plan to take the train out for the festival. That way we could enjoyed more of Tokyo and my dear friend Yoshiyuki & his wife Tomoko. Since it was a star festival and there was all this talk about the evening, I thought that’s when the event may be more active. Well, not really. It was all day long and we probably could have gone earlier in the day. In fact, I thought that’s what we were doing for a while but I guess something got lost in translation. There were so many different styles of yukata (many Americans may think they are kimonos but there is a difference as yukata are a casual summer style of cotton dress & kimono are things to wear & frequently associated with silk) and so many people wearing them. It really was great! The festival and colors, etc are really something to see and enjoy. Just the same, if you plan to be there for an hour or two, you will see everything, have a chance to check out lots of festival foods, etc. With the crowds and temperatures, a quiet break was really appreciated after walking through the streets for a while! 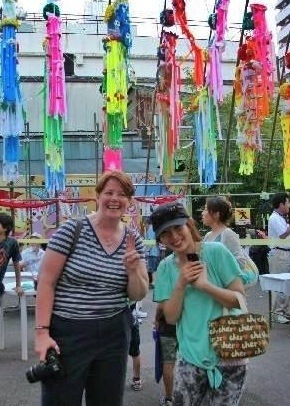 I may just have to do some more on tanabata…. Maybe a photo post once I get everything sorted through! If you think it looks fun, you have time to get to the one in Sendai in August since they use the lunar calendar! I never heard about this festival but your Sounds like each day of festival was full of adventure and experiences.